2009 is a bittersweet year for many. Just as the outbreak of H1N1 sent shocks to the human race all over the world, the economics turmoil hit, wounding many nations and businesses. Even though we feel the effects of the merciless disasters, FingerTec had no time to grieve; we continue marching according to the planned activities. New products, R2i, i-Kadex, DigiPay, TA100T are launched this year, and Smart Keylock 8800, FaceID and TCMS Web Version are due to be released just around the corner. On top of that we have some new products in our pipeline for 2010 too. But all in all, with the growing maturity of all the technologies from the hardware to the software, it sparks a new direction, a new diversification to our present business model. It is a new business model based on Cloud Computing Technology, along with the debut of TCMS V2 Web version in 2010, and the built-in Web Server technology in our terminals. I agree that there is no guarantee for success in any new business venture, but the mere idea of it has renewed my excitement. It is worth a try, a very serious try. Our sales team should renew their excitements too this year with a new mission burdened on their shoulders. The mission is to guide the distributors through and through by using the new FingerTec Distributor Business Guidebook as the “Going In” strategy, besides the much-awaited new products led by face recognition technology and Cloud Computing Technology. And in 2010, in conjunction with the 10th Anniversary celebration of FingerTec, I proudly present to you the 10th Anniversary Celebration logo, which bores a spirited tagline: A Milestone For The Next Leap. It marks our passed glories as a profound milestone, reminding us to be prepared for greater challenges in the next leap. Things without challenge lack excitements, don’t you agree? In this New Year, with the renewal of our excitements, I also urge you to revisit our company’s motto, Think and Reinventing. Indeed, that’s the very fundamental principle that I want to stay permanent with us without a slightest change. On the contrary, it could be further enhanced. I quote a few paragraphs from my previous comprehension article for this motto I wrote a few years back as a punch line to refresh your mind. The more you can think, the more valuable you are. Especially when we are now living in the Information Age. Information Age generates myriad of data everyday, data would turn into garbage if we skip the thinking process. 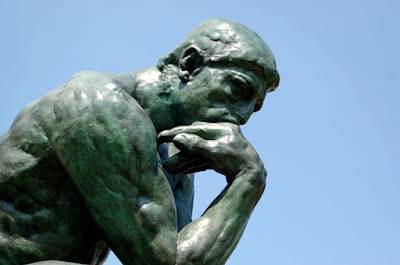 Knowledge would be derived from data if we add thinking substance into it; and wisdom could further be derived from knowledge if more thinking process and analysis are involved. I like this proverb that goes "Nothing can't be achieved, only when it's beyond your imagination." In fact, any good execution should be the result of good thinking and comprehension. Thinking will lead to improvement in your daily work; improvement will lead to reinvention of jobs, of products, of services, of administration, of marketing and of everything. Reinvention spirit should stay in our blood to give us more boosts and push everyday, to continually find out what can be done to improve our life, our work and our environment. Once identified, find a way, make a change, see the result, review the performance, and repeat the process all over again. I value creativity, but I value reinvention more. 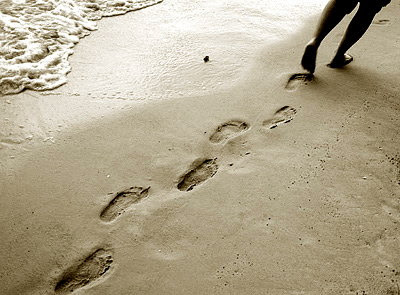 Many Small Steps; eventually would lead us to a Big Leap. The whole company just came back from an all expenses paid trip to Shanghai. After a wind down, I am planning to spend most of my time in this last month of 2009 to write FingerTec Distributor Business Guidebook. What is a brand good for if it is just a logo affixed on a product? I always ponder about this, and I would not hesitate to do more for FingerTec. The Guidebook is in fact a round up of practical branding efforts we have done all these years and to extend it in an organized way for an easier adoption by our distributors. The main objectives are to help them increase sales, to improve cash flow and to reduce support costs in a more efficient way, I must say. The idea had dawned on me on the last day I wrapped up my India trip, on the way to Mumbai Chhatrapati Shivaji International Airport. 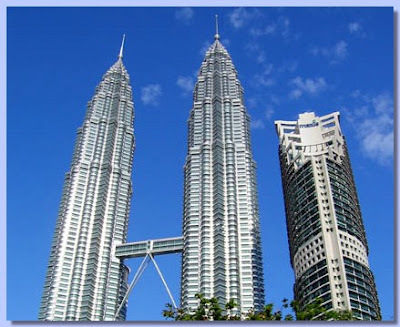 I saw our effortless methods in strengthening Malaysia’s market and our global strategies in penetrating the international market can be combined and fine-tuned to further benefit our worldwide distributors, besides using our plentiful readily available branding materials. 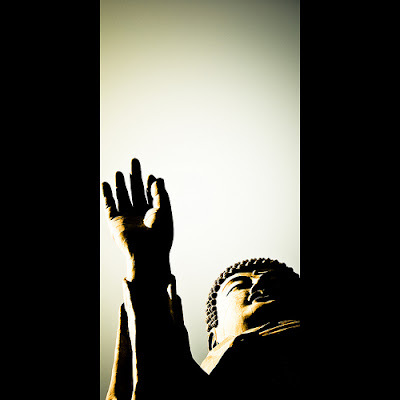 The Buddha sat under the Bodhi Tree for 49 days to find his Enlightenment, but he spent the rest of his life teaching the theory of Karma, which spawn from the Enlightenment. I foresaw we would face a similar challenge. It is not merely the writing of the Guidebook, but if there is a gap between a distributor’s daily operation and the Guidebook, how should we convince the distributors to change their business conducts that they had accustomed to, even if they agreed to do it the FingerTec way. I always detect flaws in some of our partners’ FingerTec business operations that deter their growths. When I was invited to give a talk, I would share my view (of course, a broad one without too much details) with them on how to tap on FingerTec resources for better business expansion, but it’s normally ended up in futile because old operation habits diehard. This time, a detailed Guidebook with follow-up monitoring system may yield a more constructive result. 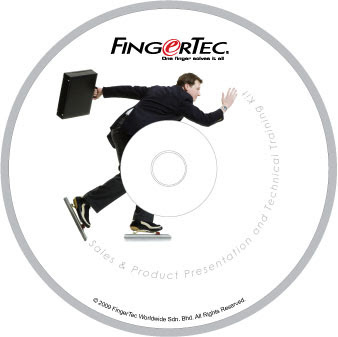 Our first 5-year plan started in 2001 was more focused on technological research and development, which laid a strong groundwork for FingerTec products to soar. 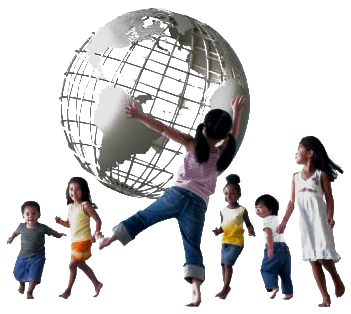 The second 5-year plan with a global marketing strategy was to spread our wings to as many countries as possible in the world. For this, I summed it up as a “Going Out” strategy, having our products currently presence in over 100 countries. I had made up my mind long ago that the next 5-year plan should be a continuation of “Going Out”, which naturally succeeded by “Going In” strategy. But this strategy is bothering me every now and then, because it seems to me that we need to have a string of different sub-action plans in order to deal with different local partners, or to set up operation offices abroad to ensure the success of the plan. And I also realized that if we followed this costly conventional path, we will eventually loss in a maze of disorientation in our future plan. For 2010, also the 10th Anniversary of FingerTec, this is the next 5-year milestone I set for FingerTec, to unite the Diaspora FingerTec partners around the world and to unleash FingerTec branding power through emphasizing the uniformity of strategy that extended from practical branding to business operation. In fact, we received no such question at all. While thousands of Chinese exhibitors simply transformed the Exhibition Hall a China Town, FingerTec, among a handful of other countries’ booths available, stood out easily with local Indians handling inquiries. I’m still obliged to answer the questions though. I think some of our partners may like to know since they’re often competing with some China products. I don’t see the necessity to handover detailed comparison list here, but discerning some basics should be sufficient. With our partner, Compax Industrial System took care of the booth, I had ample time to roam the Exhibition Hall. In summary, the Chinese Sourcing Fair is all about a fleet of Chinese companies that couldn’t wait to part with their products from their manufacturing plant in exchange with cash. It seemed to me they’re more incline to deal with the seeable tangible products, all the invisible intangible added values such as system, software, service, branding, solution, are normally the least of their concerns. I agree that the intangible value might be less important for electronic components and consumer products, which constitute the larger part of the Sourcing Fair, but it’s hard to believe that security products which supposedly be more holistic in solution; software, the main driver of most security hardware, is also taken lightly by most Chinese players. Without any doubt, low price is one of the best strategies. But for security and office automation products, it should be more than that because quality and reliability must be second to none. A question for users, do you want to enjoy (the price) first and suffer later? That’s why our partner for seven-year, Compax never turned to sell Biometrics products from China, although repeatedly approached and offered with attractively low price products. 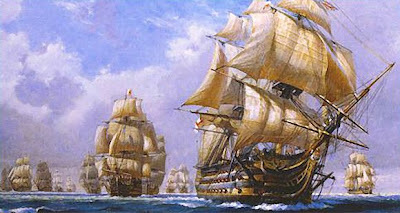 However, they did use the price lists from the Chinese competitors to negotiate with us. 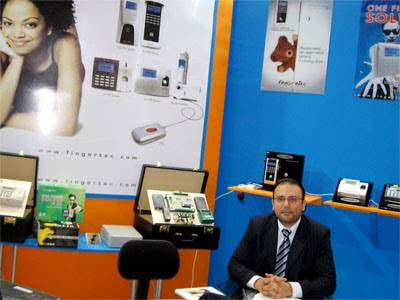 In reality, FingerTec sales grew exponentially in India for the past few years. The more pricey Korean products also are in demand in India market. To me, this is a good sign. It proves that the Indian market starts to take other elements besides price into their consideration. IFSEC India had just ended two weeks ago in Delhi; and now come the China Sourcing Fair in Mumbai. With huge crowds drawn to our booths in the two most populace cities in India, it should keep Compax busy for the coming months. This is the promo trailer song of 3 Idiots which bombards the MTV channel in India now. The actress, Kareena Kapoor, wow, is so beautiful. I went to Perth Australia last month for a short break. I had little idea about what Australia is going to offer me but from my readings people review that Perth is one of the best cities in the world and Australia is one of the best vacation spots in the world. A pretty good reason to pay a visit, isn't it? We took advantage of the AirAsia-X offer, my husband and I flew to Perth to wind down in October. No doubt Perth is a gorgeous city. It's clean, organized and breathtakingly beautiful and peaceful. I don't fancy hustle and bustle, and I love the fact that the city takes its time. The shops are closed at 530pm on weekdays except Friday and a lot of people actually doing exercise outdoor. I took my own sweet time and relaxing as much as I could while enjoying what the city has to offer. Many people that i know have the idea that Perth is boring (*wink). Well, it depends on what you are looking for. I beg to differ. I even saw with my own eyes a lady happily drinking while driving on early Friday night. Well, she actually waved and shouted at us happily from the car, offering us her drink. Carry on, mate!! What I admire the most about Australia is it's border control. Nobody is an exception and even it's very early in the morning, the officers were all fired up. Very professional, very efficient. With that kind of control, I think a very small percent of offenders can get pass through them. I thought it's only during entry, exit also the same thing. I forgot to take out a jar of honey from my luggage and it's gone. Quality control steps should be as detailed as Australian Border Control. Every unit has to be checked thoroughly to make sure no error escapes. Are we at the level of Australian Border Control, perhaps not yet but my plan is to name the department Quality Control Australian Style. I will get to it in 2010. Promise! 2009 is coming to an end. A pretty tough year in my book. The major disaster was the economy that decided to play pranks and left everybody exasperated. The value of money shrunk, reduced purchasing power and most probably would affect this fiscal year’s PNLs of most companies. The bad economy also had forced players to offer rock bottom dirt prices to opportunists, squeezing the already slim margin to almost flat. Yet, against all odds, I think FingerTec has done a pretty great job in this year of ox. Last Friday we had an internal meeting and for the first time were introduced to the prototype of Face ID. I’ve been in the business for almost a decade and I’ve never experienced anything like it. I’ve tried on iris when I was in New Delhi last year but this Face ID is a really cool machine. The gadget you thought was only available in movies. The registration takes less than 2 minutes because the machine needs to get your face in 3 dimensions. Front, left, right, up and down. And, verification takes a split second, unless you cover your face or doing funny distorted facial expression, which trust me, a lot of users would attempt that in the first month of use. Even when the room was dark, the machine spotted me. It’s truly awesome! The markets are going to be excited about Face ID just as I am and I reckon with the price that we are offering, the Face ID is going to do good in the market. Another great product, which many customers are asking about, is Smart Keylock 8800. Yesterday I got the chance to experience the prototype that we are going to bring to India for the show, and again, I’m impressed. I’m not biased. I have seen and feel other products but this one is the ultimate. Registration and management of users can be done at this keylock itself through keypads and LCD. It has NO/NC feature, useful for visitor management. You can set the keylock at Normally Open if your office is accessible all day long or you can opt otherwise if you want every user who enters your room is verified before entry. The smart keylock has 2 latches. Motis on top and bar latch in the bottom, added security feature for installation on the front door or main doors of important rooms. The colors and finishing of this Keylock are sophisticated. We are still doing some minor touch-ups on the Face ID to produce near-to- perfection machine. The release date is pushed back to end of December or early January 2010. The production of Keylock 8800 will start very soon. Nonetheless, we accept pre-booking of Face ID and Keylock 8800 this month. No payment is required once you make a pre-booking (we will only request the payment prior to delivery). Ever come across any face recognition system? Since FingerTec FaceID 2 reader is due to be released only in January, I would like to recommend Picasa 3.0 if you want to experience face recognition system. Picasa 3.0 is a photo album management system provided by Google, free of charge. Thanks to Google’s acquisition of Neven Vision, a company that specialized in matching facial detail with readily available images in a centralized database, three years ago. The technology was then being transferred to Picasa 3.0. The technology helps to identify all faces in your pool of photos in groupings based on their similarities, which you can opt to tag them later. 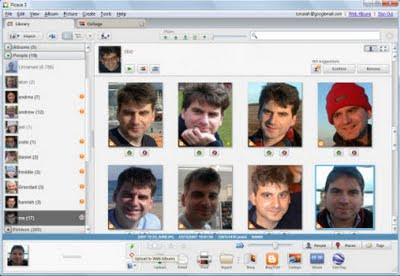 Picasa will automatically suggest the tags that suit to the faces the next time you upload new photos to your computer. But Picasa may also capture the face of a lovely angel statue standing next to you and suggest that she is your girlfriend (you can pray for the statue to come to life, if you want to); or identify Mr. Obama in a poster and group him with one of your colored friends. Or some stranger’s faces might just pop up from nowhere when your picture was taken with a group of passersby. With all these limitations, you still need to edit your photos by removing or regrouping all the errors to finally get the tags right. Still, despite all, it’s pretty much a useful tool. How about FingerTec® FaceID reader, can it differentiate statue, poster or photo from a real face? That’s the major difference between 2D and 2D+3D (FingerTec® FaceID) facial recognition technology. FaceID will easily identify a pictured face as negative unless it is a waxwork that looks very real, or perhaps a twin. 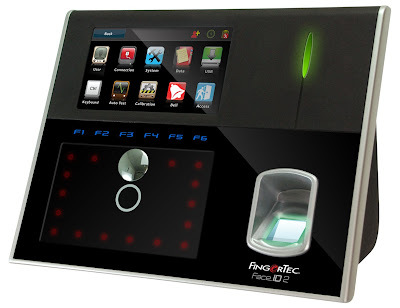 For Picasa face recognition, it searches the entire stack of your 2D photos; but for FingerTec FaceID, you have to enroll before performing identification for time attendance or access control, which lessens the burden of fuzzy logic search. Biometrics recognition system is getting closer to our everyday’s life. Another application that has been quietly adopted without most people being aware is biometric signature recognition system in banking industry. When you sign a check, some banks have already transferred the recognition job from visual inspection by an officer to a biometric signature recognition system. The system will measure and analyze the physical activity of signing, your strokes order, the pressure applied and the speed. Below is a joke that I would like to share with you. “Could you please identify yourself, madam,” a bank teller expects an old woman to produce her identity card when withdrawing a large amount of cash from her savings account. 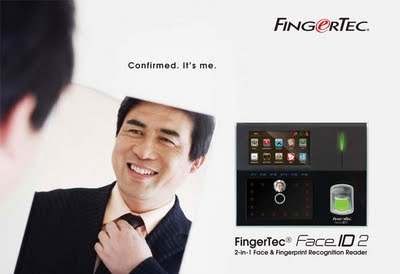 That’s the same humor phrase that we use in our brochure and poster for FingerTec FaceID 2 reader. In fact, who can identify you better than you could? But the fact remains that most of us are nobody or merely a stranger to others; hence we have to rely on a medium to provide an unambiguous and undisputable identification. What else better than a biometric recognition machine to identify a human? And among the Biometrics products, what else better than FingerTec brand as a perfect choice? Quiz: How much is the worth of the most expensive fingerprint in the world? Answer: Approximately US$ 150 million. The fingerprint belonged to Leonardo da Vinci. Deliberation: A portrait previously thought to be the work of a German, recently is identified as the work of Leonardo da Vinci, based on a fingerprint left on the top left corner of the portrait. According to an analysis by Paris laboratory Lumiere Technology and forensic art expert, it matches a fingerprint from Leonardo’s “St. Jerome” in the Vatican. 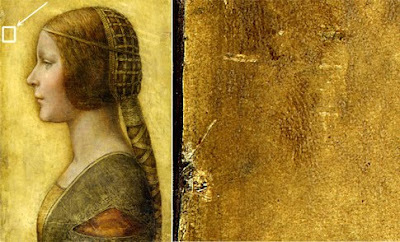 This piece of artwork, named La Bella Principessa, was auctioned in 1997 for US$19,000, but now could be worth more than US$ 150 million. 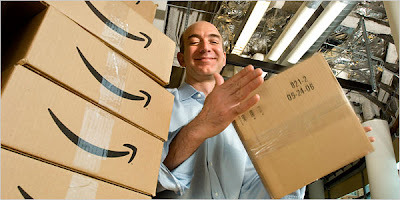 Yes, I need to talk about Amazon.com again. In recent 100 Best Global Brands chosen by Business Week (September 28th issue), Amazon is ranked 43, rising 13 spots from the previous year. If compared to top of the list brands like Coca-Cola, IBM, Microsoft, GE and Nokia in sequence, Amazon is still far behind. Why the interest in Amazon.com when the stock is not my concern? Because the world’s best known companies typically spend hundreds of millions of dollars a year on advertising and marketing to build their brands. But it’s not the case for Amazon.com. The giant online retailer has created one of the world’s strongest brands by eschewing conventional tactics. Business Week quotes, instead of shelling out big bucks for lavish trade shows and TV and magazine ads, Amazon pours money into technology for its website distribution capability, and good deals on shipping. The result: a smooth shopping experience that burnishes the company name. And Amazon declined to take part in providing their success branding-story to Business Week. I suspect if branding ever existed in Amazon’s dictionary. “By investing back in the user experience, you get high loyalty and repeat usage,” says Sebastian Thomas, head of U.S. technology research for RCM Capital Management, and investment firm with a stake in the company. So, what shall we call such a “no-branding” branding strategy? “Practical branding? This is the first time I heard of it. Please elaborate.” This is the very first question an official from Malaysia External Trade Development Corporation had asked me after I wrapped up my presentation for our application for Brand Promotion Grant last year. 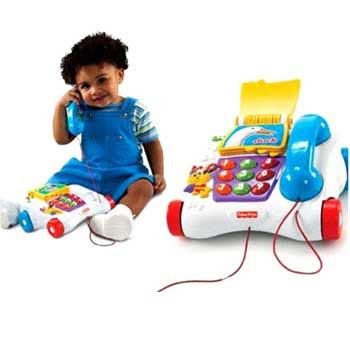 When I explained, it bore certain similarities to Amazon.com. Our latest marketing and support kit that compiled everything useful in one CD, is expected to bring an ear-to-ear smile from our resellers. All these efforts encircled around users and resellers, to smoothen their experience in using with our products and in dealing with us. Just like Amazon.com, they don’t claim how good they are through advertising dollars, but the brand speaks for itself through users’ experience. 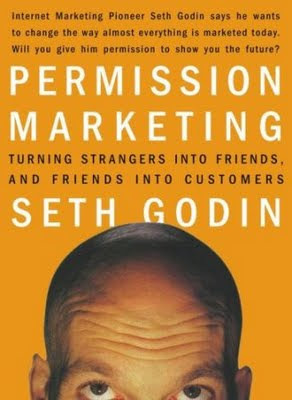 So, can I claim the origin of “Practical branding” term? “Are you a Chinese?” a client asked. The answer is obvious to Malaysians but not for foreigners like most of our clients. 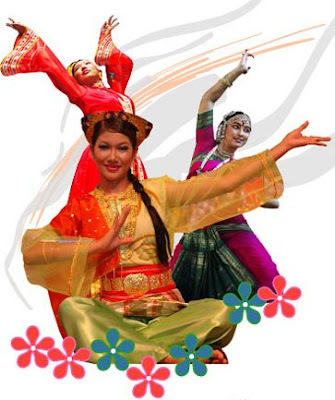 There are a few traits to look for in determining the race of Malaysians. First, look at the skin color, if she is fairer, most probably she is a Chinese but don’t jump to conclusion. 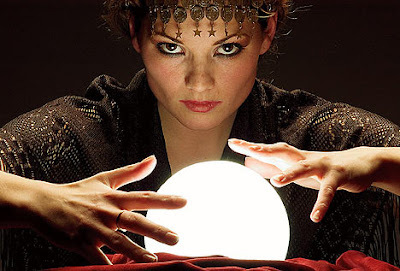 Now, look at the eyes, narrow small eyes, your prediction might be correct but not quite yet. Ask her to speak Chinese, if she can, most probably she is. The last is, simply ask her and you will get your answer. My point is, to the outsiders, it’s not that easy to tell us apart. I’m a Malay Muslim. My father is half-Chinese and my mum was a Malay. Natt is a Malay Muslim as well but she is much fairer and she doesn’t wear a scarf. Tamy is a Chinese but she can speak Malay very well. My boss, Mr Teh is a Chinese, he has fair skin, narrow eyes, he can speak Chinese very well but he can also speak Malay and his mother also is very fluent in Malay language. Our finance manager is a sweet Chinese lad who loves to wear Malay traditional clothes in the office. While the new Najib administration calls for One Malaysia concept, we have been One Malaysia since the day I joined this company 10 years ago. Regardless of races, we treat everybody with a lot of respects and love, and definitely no discrimination based on race. We discriminate based on their salaries, and you know I’m kidding. How can I confidently say so? I’ve been given the opportunity to lead a capable team of international sales and marketing since 5 years ago, running the business side by side with my mentor, Mr Teh. He has never looked at me with race boundary. If he had, I wouldn’t stand a chance to go ahead. The same applies to my team, my beloved assistant Tamy is a Chinese and she’s capable in many aspects of the business. Next to Tamy is Natt who is a Malay. In short, race doesn’t matter. I strongly believe that discrimination is nurtured. If in a family, parents taught their kids to find distinctions between races and use those differences to abhor each other, it’s just plain wrong. A human is a human regardless of races. We have to respect each other differences and to live in harmony. Races are still important but not to detest others but to find colorful lives in those variations. My daughter is 5 years old and her classmates are multiracial. She doesn’t understand the differences at all. For her, those are her friends, and we couldn’t agree more. And it’s been the same in FingerTec family. I have so much respect for my mentor. To me amongst other talents that he has, he has a good heart. This is by no means indicating that he can be taken for granted. He is firm but he has a very good heart. And for those who think that I write this for personal benefits, you are correct. I have wanted to say this for a long time and today I feel the need to say it out loud, in writing. It’s for my own personal reason. I can argue with him in various subjects and he likes to make fun of certain things, but one thing I cannot deny is his good heart. There are too much craziness in the world but there are also too much kindness to spread around. The truth of the matter is, we are all humans living in the same world, wishing for happiness til the day we die.